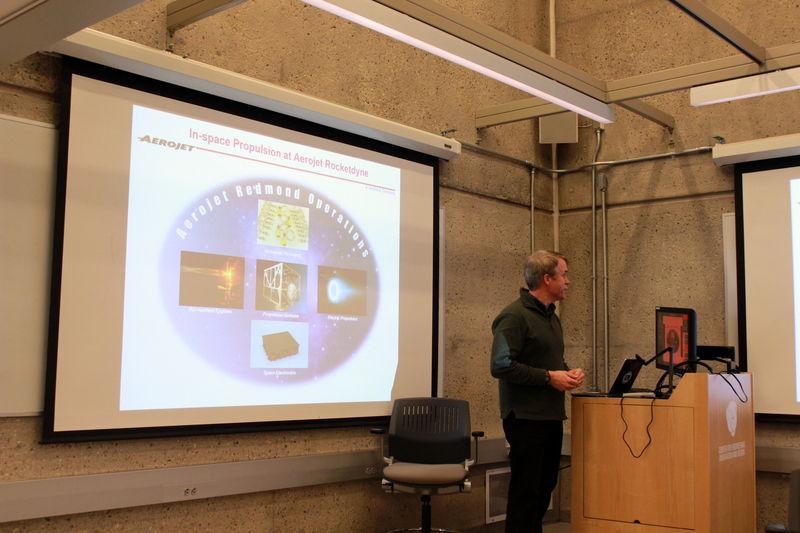 In what was one of our most successful speaker series talks to date, YUAA invited Andy Hoskins (Yale ’84) from Aerojet Rocketdyne to talk to members of the Yale community about his work in electric propulsion and his thoughts on the future of the space industry. 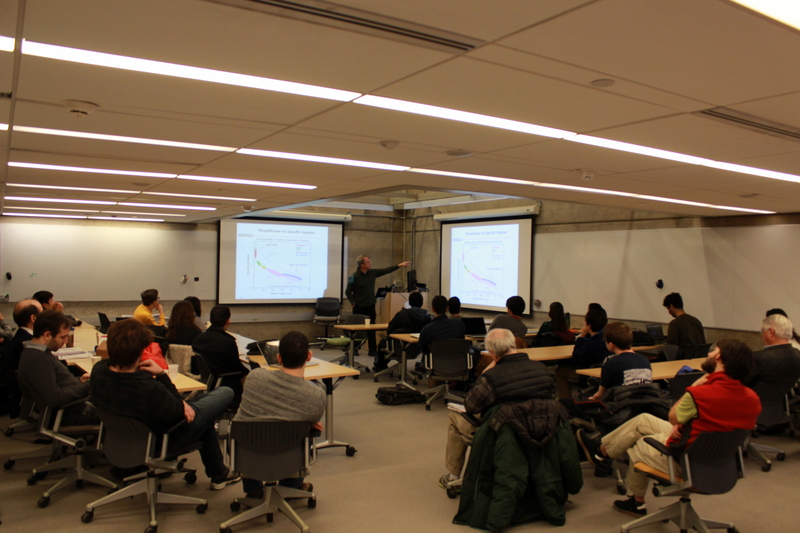 The lecture was held on Friday, February 12 in the lecture space at the Center for Engineering Innovation and Design (CEID). We had a very good turnout with many members and non-members present to listen to Mr. Hoskins talk about electric propulsion, Japanese space probe adventures, Mars missions, as well as his life after Yale. 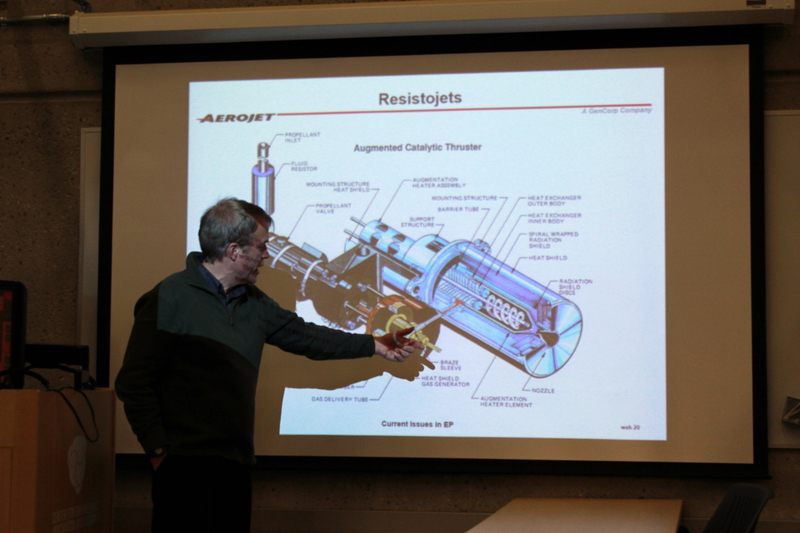 In what turned out to be an extremely fascinating, inspiring, and engaging lecture, Mr. Hoskins talked about the different kinds of electric propulsion technologies that Aerojet Rocketdyne develops, including Hall Thrusters and Ion Engines. He spoke about their usefulness and helping reduce the mass of spacecraft, leading to more economical, cost-effective launches. The audience remained engaged throughout the 2-hour talk and there was even a sparkling Q&A session afterward. Highlights from the lecture included the story of the Japanese Hayabusa space probe that lost its way in space and managed to limp back to Earth on the power of its ion engines (despite failures in the navigation and chemical propulsion systems), his thoughts on the future of Mars exploration, and a particularly inspiring statement comparing the work of aerospace engineers to medieval cathedral builders – lasting and awe-inspring work for the generations. YUAA would like to thank Mr. Hoskins and Aerojet Rocketdyne for this wonderful opportunity. Stay tuned for more news about our speaker events!